Last August John Deere updated its 2019 line of 110- to 215-horsepower 6R Series tractors, giving them a host of new features. The updated models include the 6110R, 6120R, 6130R, 6145R, 6155R, 6175R, 6195R and 6215R in both two- and four-wheel drive configurations with cabs. First and foremost, among the new optional features is the CommandPro Conrol multi-function joystick, available tractors equipped with Infinitely Variable Transmissions (IVTs). 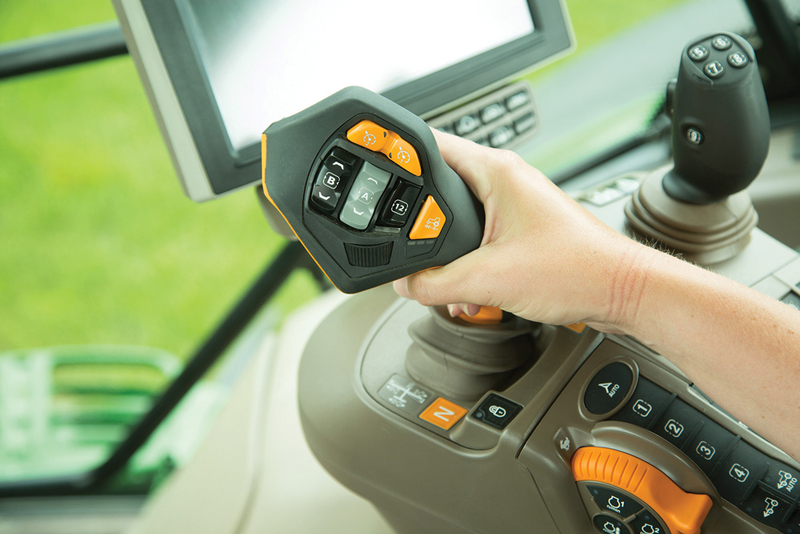 CommandPro is a customizable joystick that allows operators to control tractor speed, direction and implement functions from a single control lever. Configurable buttons let operators customize the controls to their preference, and those settings can then be saved as named profiles. Also, variable ratio steering is available in the 2019 models. When traveling at speeds less than nine m.p.h., the number of steering wheel rotations from lock to lock required is reduced by one third. 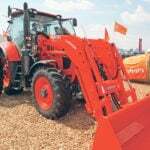 The variable-ratio steering option requires an AutoTrac ready-equipped tractor, though. Three other features also get added to the base equipment package, one of which is an engine-oil service door. To make checking the oil an easier task, a small door has been added to provide access to the engine-oil service area without the need to open the tractor hood. “This may seem like a small detail, but when your tractor is equipped with a front-loader and loader hood guard, it’s not always easy to open the hood to perform regular checks,” Anderson added. 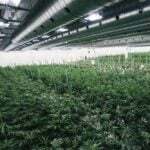 The remaining two new features are JD Link Access and Remote Display Access (RDA), and a 4200 Generation 4 CommandCenter display. The Display provides more surface area for viewing tractor and precision-ag functions and requires fewer button presses to make changes. In addition, a five-year JDLink Access plus RDA subscription is included as well. CommandPro is a customizable, ergonomic joystick that can control tractor speed, acceleration and implement functions. That lets owners track machine location, hours and analyze machine and fuel usage. There is now a 155 l/min. hydraulic pump to boost hydraulic capability on the 6145R and 6155R, a 41-gallon (155 L) per minute hydraulic pump can be added to increase front-end loader cycle times and capacity for implements. It’s the same pump used on the larger 6175R and 6215R models. Back in 2017, two new, more powerful 6R models made their debut at Agritechnica in Germany. That’s when we at Grainews first saw them. 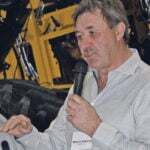 When their introduction was announced, Deere’s marketing staff said the tractors were being offered only to the European market, where demand for a lot of power in a compact tractor chassis is high, due to the popularity of PTO powered tillage equipment. And these two 6Rs are ideally suited to transporting. 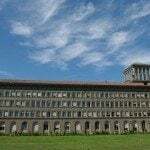 They have fast acceleration and quick road speeds with a simple control to get them up to maximum velocity, which also made them popular in Europe. But, Deere reps added enticingly at the time, there was a possibility the tractors would eventually make their way across the Atlantic. And we here at Grainews told you we thought they would definitely show up here sooner or later. Well, they just did. This February, Deere finally gave its North American 6R line even more weight — and more horsepower — with the introduction of those new tractors, the 6230R and 6250R. They push the available engine ratings in the 6R line to 230 and 250 horsepower respectively. When the power bulge and John Deere Intelligent Power Management (IPM) control are factored in, the larger 6250R is capable of delivering up to 300 horsepower in a pinch. Deere thinks these tractors will appeal to Prairie livestock growers who want some higher end features, a little more power and faster road speeds out of their machines. The brand has packed a lot of power and features into a relatively compact chassis. The 6230R and 6250R were first shown to the public at Agritechnica in Germany in 2017. Of course that transporting skill will also make these tractors popular with anyone who hauls large round bales from field to yard with a tractor and wagon. These tractors certainly aren’t lacking in base features. Both get Deere’s IVT as base equipment, but there are two versions of it, a 40km/h model and another that pushes road speed up to 50 km/h. At the bottom end, these models can creep along as slow as 0.05 km/h. Also included in the base equipment package is a Gen 4 4200 CommandCenter colour monitor with an 8.4-inch display. 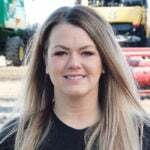 Buyers can also upgrade to the 4600 monitor and add features like Deere’s Field Documentation with an AutoTrac activation, section control and wireless data transfer. The two new 6Rs also get a slightly bigger chassis than the existing 6R models. Their frame is 10 centimetres longer than what is used on the 6215R, which was the bigger tractor in the 6R family until now. The longer wheelbase helps to give them a smoother ride. 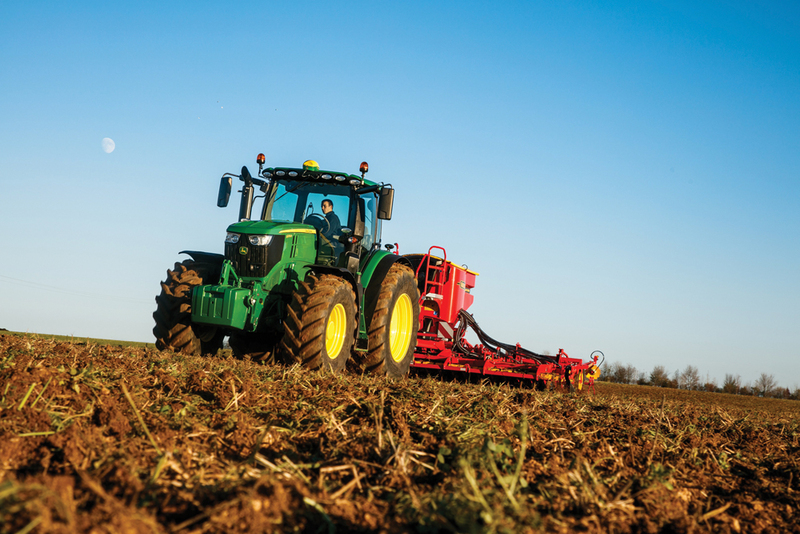 Both tractors get the brand’s Triple-Link Suspension (TLS) to further improve ride quality and improve traction by keeping the front axle firmly planted on the ground. The suspension is part of the reason the two Deeres can sprint along the road at up to 50 km/h. And the brand claims that suspension improves traction by up to 10 per cent. TLS has three operating modes that can be changed from the Gen 4 CommandCenter monitor. They include Auto, Max or Manual. Auto mode reacts to changes in travel speed, draft characteristics and implement weight to provide an optimal ride. Max mode delivers maximum suspension stiffness for loader work. In Manual mode, the tractor’s suspension can be raised or lowered to a specific height, making the attachment of front implements easier. TLS is just one more high-end feature included in the base price. JDLink telematics technology is also part of the base price package. Variable rate electronic steering is an option, as is a factory installed front three-point hitch. 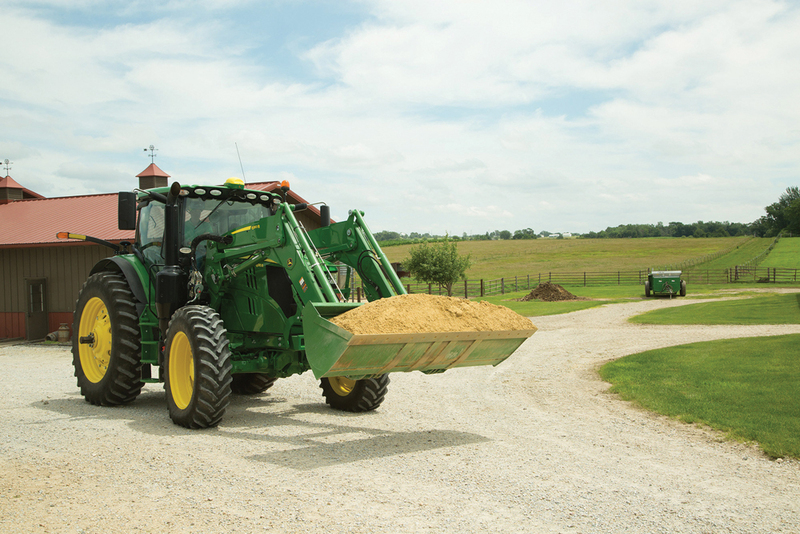 Tractors equipped with a front three-point hitch can still be fitted with a Deere 680R front-end loader. The CommandPRO customizable control lever that debuted last summer on the other updated 6Rs also makes an appearance on these two models.